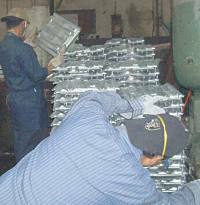 Aluminum Die Casting–It’s Not About the Money. Aluminum die casting is one of the most efficient and quickest ways to construct different kinds of components that we utilize for everyday. Although the procedure may sound very easy, die casting parts require to be finished each time a new run-through is commenced. 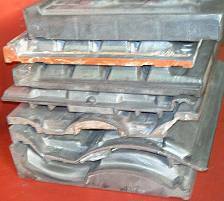 Die casting parts such as aluminum molds for rooftile are very important in the achievement of a lot of aluminum die casting outputs, so as to generate the ideal dimensions and shape asked for by the customer from die casters. Prior to the implementation of the client’s plan, a die caster must be able to guarantee that all parts essential in the die casting procedure such as trim tiles are obtainable on the day of the items’ creation. This is also why discussion is a vital stage in the manufacturing of dies. At this point, die casters are able to create expectations with the customers as to how much money will be required to complete all the die casting parts. Every part needs diverse undercuts and slides, making the equipments quite costly. 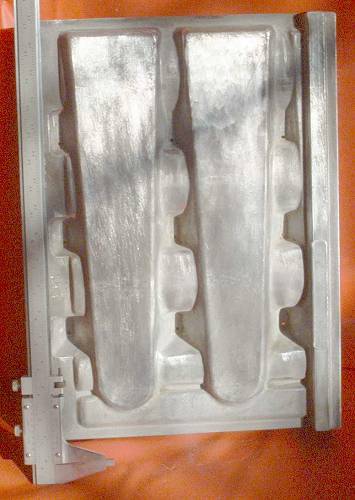 Although some die casting parts may financially cost a lot, these have a lot of promise when it comes to the major procedure of aluminum die casting. Die casters are able to manufacture quality electrical components that are certain to have the lightest weight and the best strength during their particular applications and functions. To make the ideal die casting design, it is necessary to make sure that all parts are created with high quality aluminum and are not deprived from expensive measures. 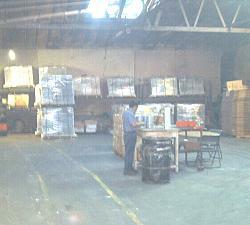 With the parts completely in place, customers are sure to receive the best components for their product. Concrete Roof Tile questions and answers (FAQ) Frequently Asked Questions regarding almuminum molds to make concrete roofing. Contact us if you are looking for Concrete Roof Tile Questions and Answers for the concrete roofing industry equipment, please call 800-524-8083 or email us at sales@tile-molds.com. This entry was posted in die casting, Tile Molds and tagged aluminium, aluminium die casting, aluminum die casting, American, California, die casting company tooling, molds, roofing, TileMolds on February 19, 2016 by admin. Why Should You Use Die Casting Parts? Die Casting Parts’ many benefits – Most original equipment manufacturers (OEMs), such as those manufacturing cars and other automotive vehicles, computers and other electronic appliances, utilize die casting parts in their products because of the many rewards these components offer. Die casting parts could be produced efficiently and economically as they could be calculated to the precise terms of the OEMs. Once the particular OEM designs have been developed into the wanted dies or molds like a tile mold, the die casting parts could then be mass-produced by the thousands. No machining or just a little finishing of die cast parts is necessary since all the completed products are equal and dependable to the original OEM design. Die casting parts’ service life is also significantly longer because they are sturdier than other castings like plastic moldings. More striking finished products are also made achievable by die casting parts like concrete roof tiles which could be designed to visually complement the immediate area where they are to be attached. The door handles of home refrigerators is one great example of how die cast parts could aesthetically boost the ultimate consumer product. Furthermore, well-designed die casting parts add to competence in the production line. These components already come in their net shapes so that no welding or fastening may be necessary in some applications. And should there be want for fastening of die cast parts, studs or holes as self-fastening devices may be integrated in their design to make simpler product assembly and as a result help decrease cost of production to the advantage of both manufacturer and customers alike. This entry was posted in die casting, Tile Molds and tagged aluminium die casting, American, California, Concrete Roofing Tiles, die casting company roofing, die casting company tooling, Roof Tile, roofing, rooftiles, TileMolds on February 5, 2016 by admin. Die Casting Parts Make Concrete Roof Tiles. Die casting is the finest way to make a huge number of little parts with better quality and brilliant precision in the details of these parts. Aluminum die casting is the procedure for making metal parts by forcing molten aluminum alloy under high pressure into a steel metal-forming tool called a die. Automobiles, aircrafts, military equipment, lighting fixtures, door handles, guitar amplifiers, golf ball heaters, concrete roof tiles and even toys surround die casting parts. Aluminum is high-quality for die casting parts because it offers good struggle from corrosion and it is very sturdy even though it is lightweight, just ideal for thin structures. By die casting, the aluminum metal parts can be as tough as steel. Using aluminum in die casting makes a metal part very sturdy without being heavy. The process of die casting is the most excellent molding procedure wherein parts can have smooth surfaces, precise measurements, and thin walls. Die casting parts are more complicated compared to those complete by other casting procedures. They are stronger than parts made with plastic moldings. They are shaped with quicker speeds than other casting methods. Die casting costs less since there is no need for numerous finishing machines because the part can be molded to the precise shape that it requirements to be. The molds or dies can be utilized over and over again for an actually long time before needing replacement therefore also declining the production cost of the parts. If you need to purchase metal parts, choose those completed by aluminum parts castings for wonderful toughness at the lowest price. This entry was posted in die casting, Tile Molds and tagged aluminium die casting, aluminum die casting, die casting, die casting company, die casting company roofing, die casting roofing, Roof Tile, Roofing Tile, TileMolds on January 29, 2016 by admin. Different design concrete tiles. While some write-ups say there are about five types of roof tiles, there are actually two main types only: clay tiles and concrete tiles. Cement roof tiles are actually clay tiles. They may be plain, interlocked, creased, or ornamental. They are a bit heavy, but they can be made into various designs and colors to suit your desire. Installing them requires special equipment and the person doing the installation should be careful not to walk on them while wet. They can protect you from fire and storm, and can last for a long time. On the other hand, Concrete tiles may be fashioned to look like slates or stones. They are lighter compared to clay, but they resist fire, storms, algae, termites and moss. They may also be plain or interlocked, depending on what you want. They come in different colors too. Installing them is easier, and they require minimal maintenance, but they can be a bit expensive. That’s the price you need to pay for this type of durable roof. These tiles are usually placed parallel to each other, and overlapping with the next row. This way, it can resist water from entering your roof. Whichever type you go for, always remember that the condition of your roof depends mostly on how you maintain it. 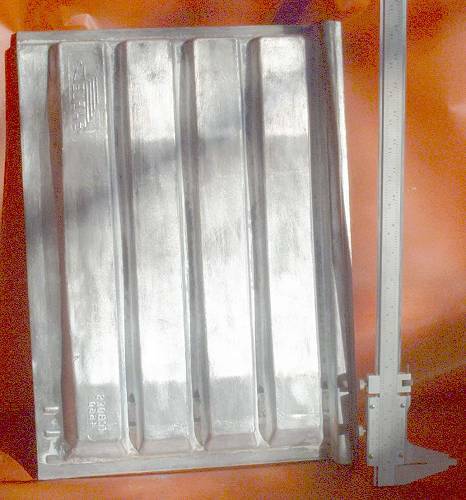 This entry was posted in die casting, Tile Molds and tagged aluminium, aluminium die casting, Concrete Roofing Tiles, die casting company roofing, Kinetic Die Casting, TileMolds on August 14, 2015 by admin.